There are about 300 U3As in Australia, 69 across New South Wales (NSW) and one in the ACT. Nationally there are over 100,000 members. U3A. It includes members living in Queanbeyan and Yass and surrounds. Our members are all volunteers, and our courses are developed and delivered using the skills and abilities of the members themselves. It is an organisation of volunteers, run by volunteers and we welcome your interest in any of our activities. We run close to 300 courses across different disciplines and topic areas, from hands-on courses such as photography, learning to play a musical instrument, social outings, activity courses including travel, dance, yoga, or learning lawn bowls, through to more formal courses and discussion groups. No prior educational qualifications are required; no degrees are awarded. The range and number of courses are entirely dependent on the availability of volunteer course leaders. We encourage members to give courses on subjects, which they feel competent to lead. While many of our courses follow the dates of the four ACT public school terms, it is up to the individual course presenters to decide if their course has a break over the school holidays, and many of our courses run for periods of as little as one to two months. Our scheduled program of activities takes place mostly on week days, and at a range of venues around the ACT. Before enrolling in any of our courses, you will need to become a member. 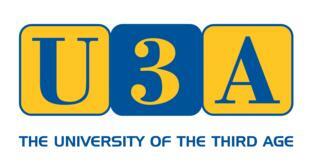 By joining U3A ACT, you will stimulate your mind, meet other people who have similar interests and make new friends. Go to membership details page for information on how to join. 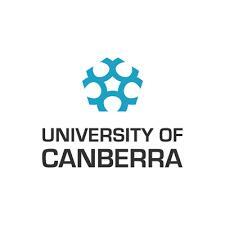 U3A ACT has a Memorandum of Understanding with the University of Canberra. This allows U3A financial members to audit units at the University of Canberra at its Bruce campus. Auditing is defined as listening. U3A members have audited a variety of units and have found the experience rewarding, saying that the units have been of a high quality and very interesting. For more information about where we meet, the key dates and our history; click on the links in the left hand margin. You can also use the headings at the top of the page to take you to information about our courses and prospectus, and the Contacts page. Alternatively, you can email or call U3A ACT using the general enquiries information on the Contacts page. We welcome new members and look forward to meeting you at one of our events.